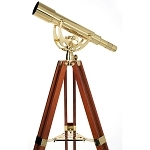 Harkening back to the days when sailing ships ruled the waves, Celestron's Ambassador 80AZ 80mm f/10 Refractor Brass Telescope is the largest offering in the Ambassador line of decorative optics and designed with distinctive vintage nautical styling, and modern glass and coatings that are the hallmarks of the series. 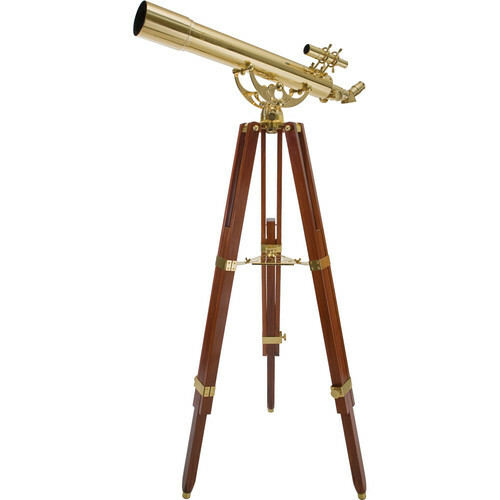 Built with a polished brass optical tube, mount and accessories, and an elegant mahogany tripod, this telescope is a certain conversation-starter and will become the centerpiece of any room or space. 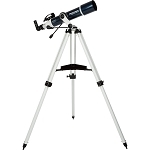 The telescope comes with a 32x eyepiece that fits into a 45° erect-image diagonal that corrects the view for terrestrial use and puts the user's head in a comfortable viewing position whether they are observing an arriving sailor or a celestial body. Complementing the eyepiece and diagonal is an erect-image finderscope. 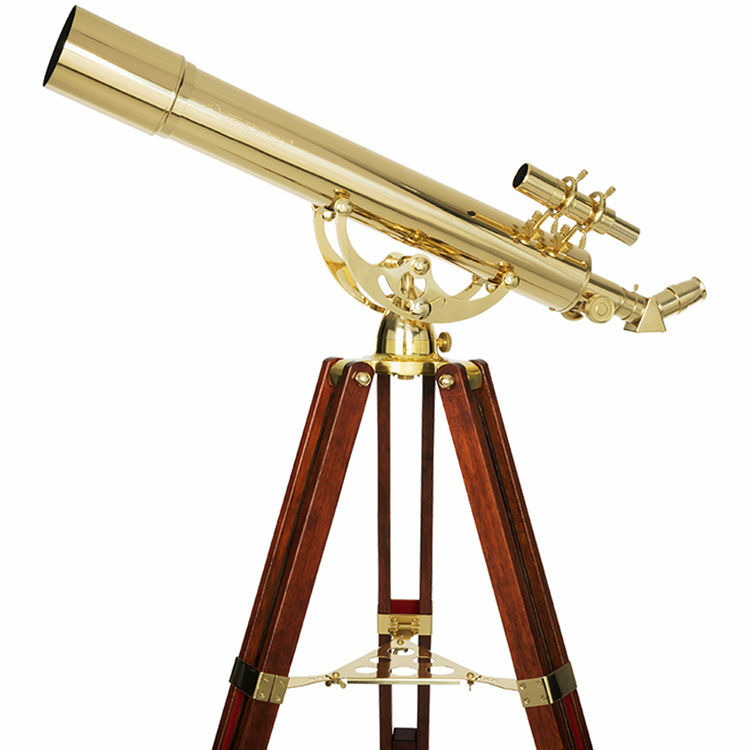 The eyepiece, diagonal, finderscope, and the finderscope bracket have a matching polished brass finish to accentuate the overall aesthetics of the scope's styling. A manual cradle-style alt-az mount is simple to use and makes finding and tracking objects easy with locks on both axes to fix the scope on a stationary subject. Its beautiful mahogany tripod features a brass accessory tray and details, and adjusts in height from 39-62" so just about anyone can use it standing or sitting. Polished brass finish with matching bracket. Box Dimensions (LxWxH) 49.0 x 15.0 x 12.0"